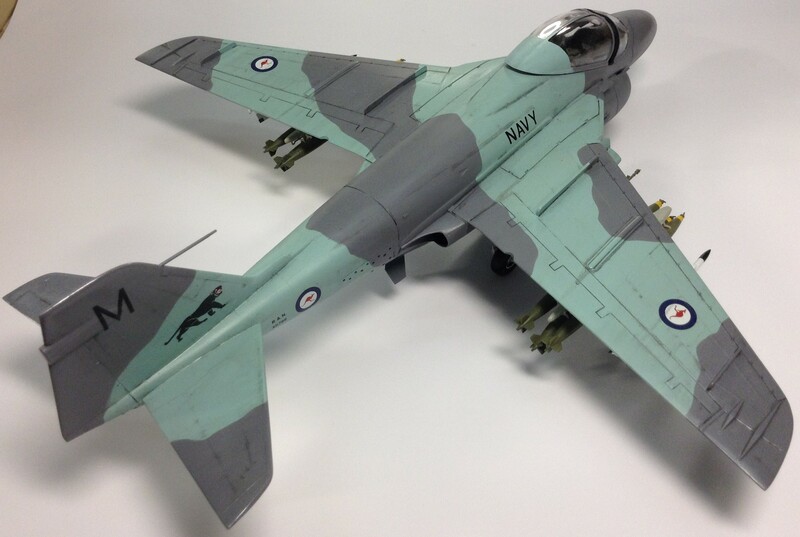 Aussie Modeller International • View topic - Royal Australian Navy A-6E Intruder "Operation Sheep"
In the late 60's, Communism was the threat around the world and with it looking increasingly likely that New Zealand would fall to a Communist dictator, Australia decided that it needed to bolster it's carrier strike force. With the retirement of the Sea Venom ans Sea Fury, strike aircraft were limited so we purchased two squadrons worth of A-6 Intruders from the US, freeing up the Skyhawks to perform the dedicated CAP duties they were optimised for. In 1970 New Zealand fell to Communism and Australia, unwilling to have a 'Cuban Missile Crisis' in this part of the world launched Operation Sheep, the invasion of New Zealand. 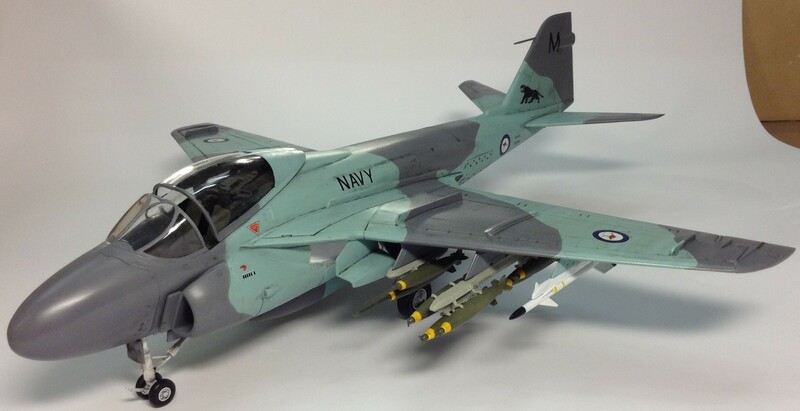 A-6's from HMAS Melbourne deployed to soften up the landing areas and interdict all forces moving around the target area. 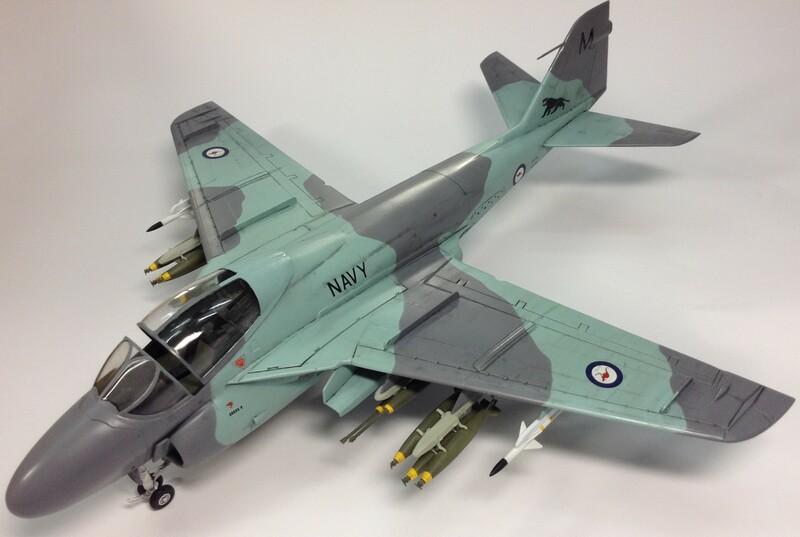 Australia's Intruders retained the outer pylon from earlier models that was wired for air to air missiles, this aircraft scoring a Skyhawk kill over the beach head. After a successful invasion and brief fight, the dictatorship was overthrown and democracy returned to the country, thanks in part to RAN Intruders. 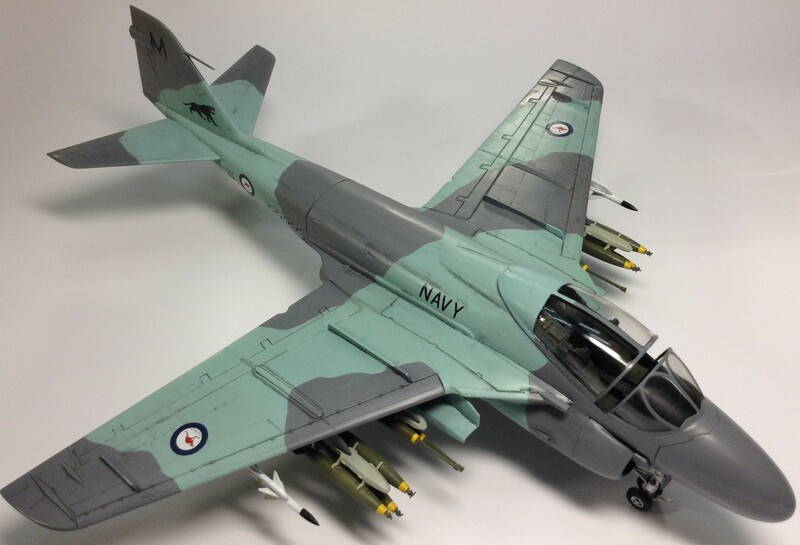 The kit is the old Fujimi model in 1/48, with weapons and bomb racks/missile rails added from the spares box. Decals come from a Red Roo Gannet set. 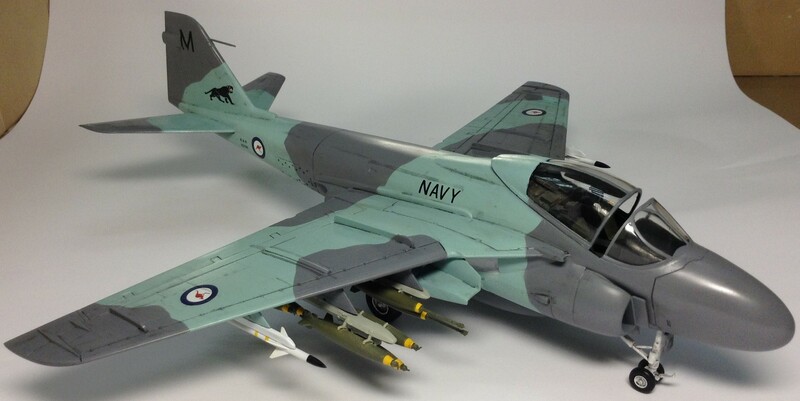 Re: Royal Australian Navy A-6E Intruder "Operation Sheep"
Wow, Brad that looks so right! Great job & concept. I'd've called it "Operation Merino" though . Brilliant! I love a well done what-if. Great rendition of a novel idea. Great idea and execution Brad! Looks great in the camo and fun back story.